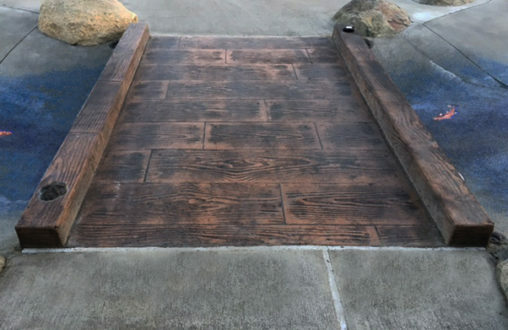 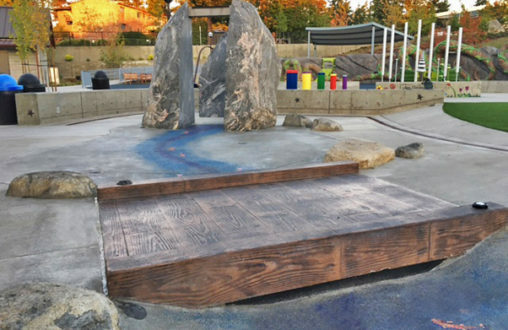 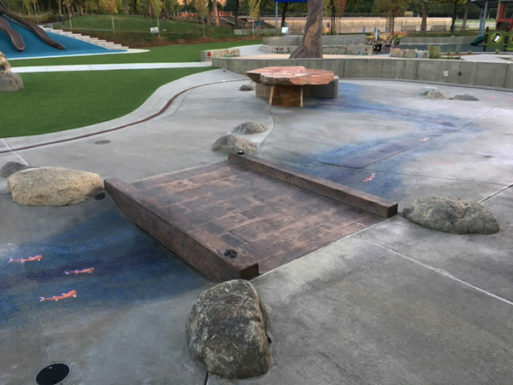 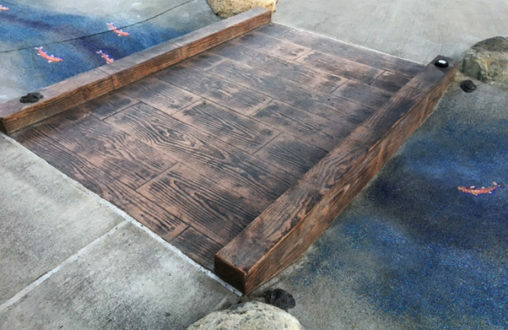 Scope: The bridge planks and sides highlight the Bomanite/Bomacron “Boardwalk” pattern. 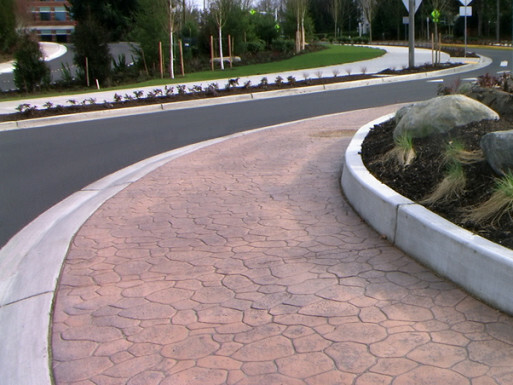 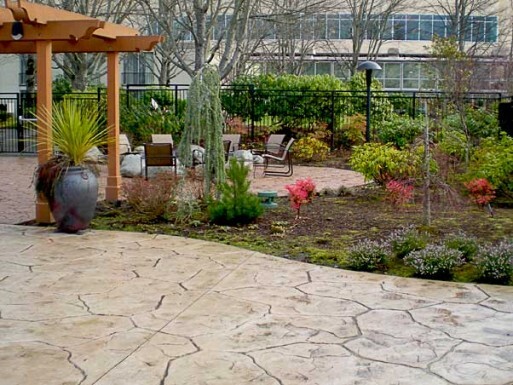 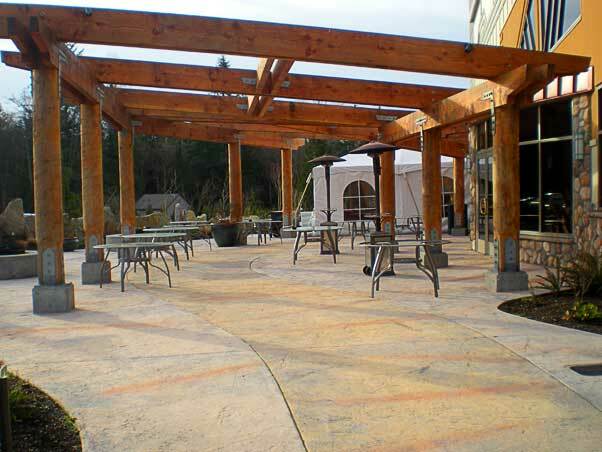 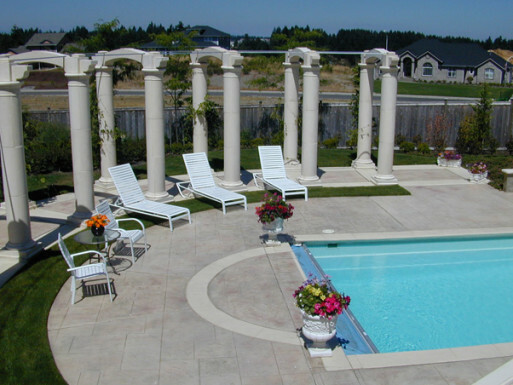 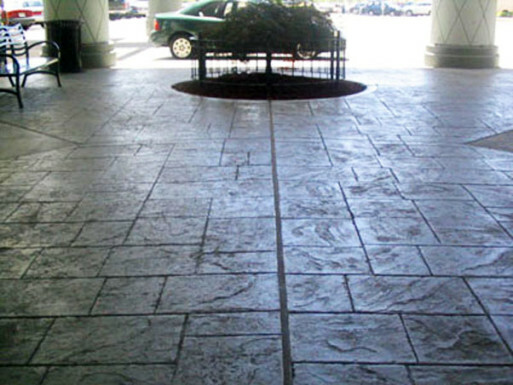 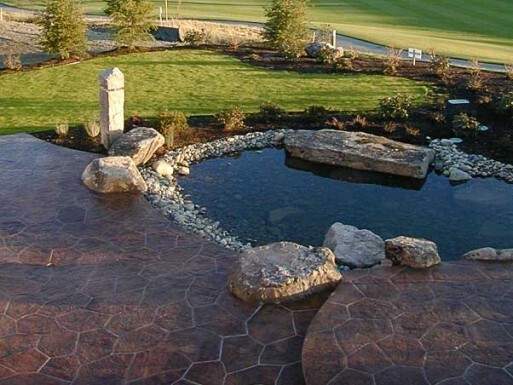 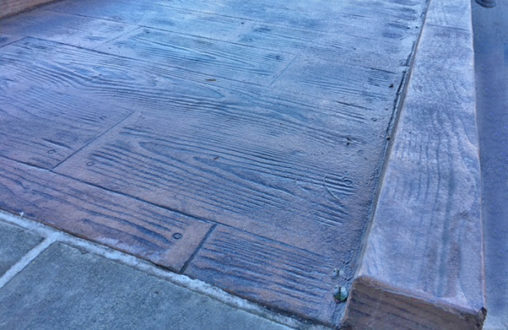 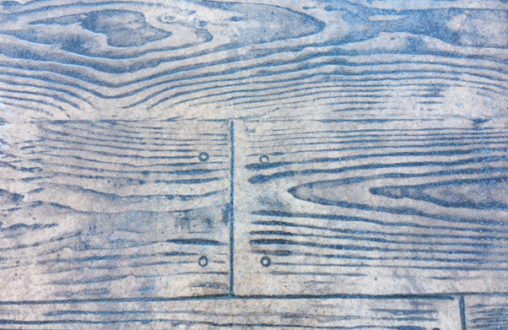 The installation of a horizontal concrete imprinted surface by itself is fairly straightforward. 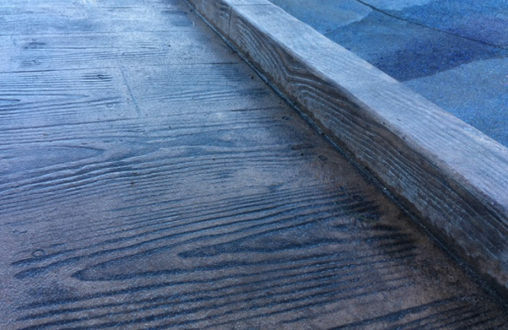 However, constructing all the surfaces to replicate wooden planks required special attention to detail. 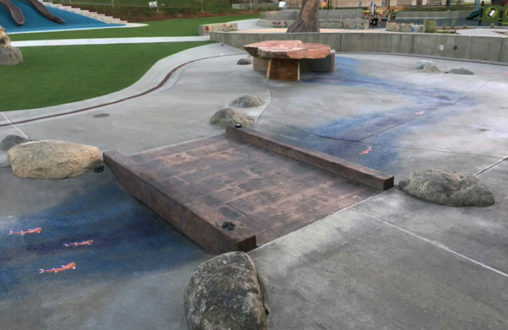 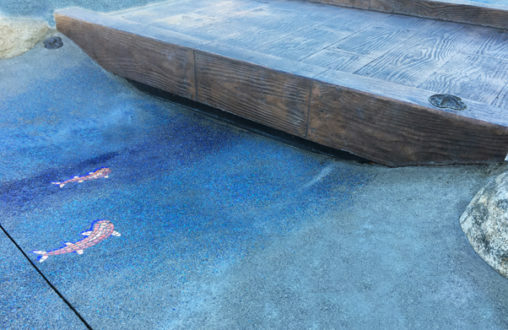 Constructing the bridge required a monolithic horizontal and vertical concrete pour, strip color, imprint and finish process.